Lakeland Personal Injury Attorney - Lawyer, Providing Professional Personal Injury Attorney legal services for Lakeland, Winter Haven, Bartow, Polk County, and the surrounding Central Florida area. Call 863.660.2185 to Speak with Lakeland Personal Injury Attorney / Lawyer, Joshua E. Schoen. At the Law Office of Joshua E. Schoen, P.A., we know how frightening and traumatizing a personal injury can be. You need a lawyer who is available to meet your needs. 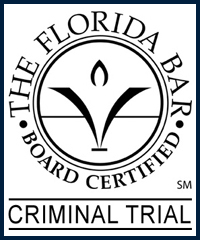 We have extensive courtroom experience and provide aggressive representation for their clients. The law allows individuals who are the victim of a personal injury accident or incident as a result of the negligence, recklessness, or carelessness of another to legally seek compensation and potential monetary damages. Protect your rights by seeking the legal advice and representation of an experienced Lakeland Personal Injury Attorney / Lawyer. Contact Lakeland Personal Injury Attorney / Lawyer Joshua E. Schoen at 863.660.2185 in the Lakeland, Winter Haven, Bartow, Polk County, and the surrounding Central Florida area.